SpaceX Falcon Heavy spacecraft has been generating a lot of fuss ever since it was first announced even though it has not been launched. 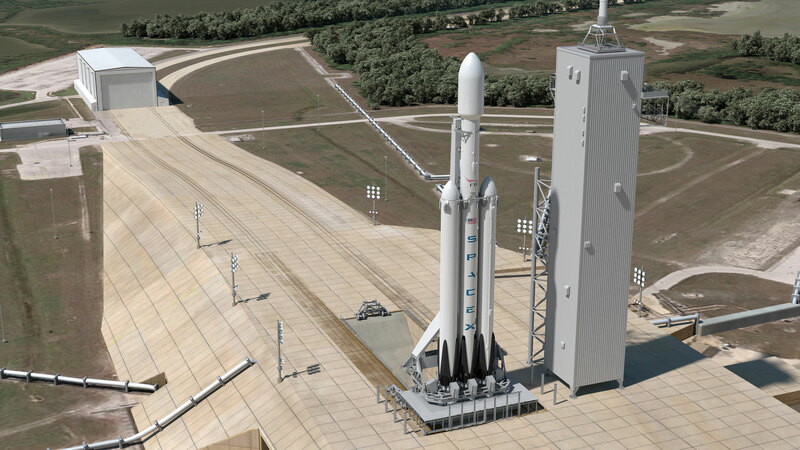 But from news circuling on the web of recent, SpaceX Falcon Heavy spacecraft launch will be happening for next spring. Earlier this week, SpaceX vice president of mission and launch operations Lee Rosen said that the company is aiming for a "late April early May timeframe" for that first launch. Rosen also explained that the crew is finishing renovations to the Falcon Heavy's launch pad for the initial test flight. That's the Pad 39A that's designed to handle launches of both the Falcon Heavy and Falcon 9. The rocket was first announced back in 2011 with a launch planned for 2013 that didn't pan out. And this summer's Falcon 9 disaster push things back even further. After the first test launch, the Falcon Heavy is scheduled to carry a load of 37 satellites for the Air Force in September 2016. As a refresher, the spacecraft uses 4.5 million pounds of thrust to launch and is capable of carrying a payload of 53,000 kg (116,845 lbs.) into low Earth orbit.